Each year, millions of Americans get a wisdom tooth extraction to prevent infection and relieve pain. Dr. Alexander Visot offers convenient, in-office surgical procedures to extract your wisdom teeth right from his Woodland Hills, California, practice. If your wisdom teeth are causing you painful symptoms like headaches, jaw aches, toothaches, or bleeding gums, you might need surgery. To learn more, call or use the online scheduling tool to set up an appointment with Dr. Visot. What are my wisdom teeth? Your wisdom teeth are the final molars on either side of your lower and upper jaws, and usually come in when you’re in your late teens. Sometimes, they won’t erupt until your early 20s. When they do come in, they can be intrusive and even painful, causing you toothaches or making speaking and chewing difficult. In cases where wisdom teeth come in crooked, it can affect surrounding teeth and lead to crowding or even periodontal disease. Since they’re the last permanent teeth to come in, there isn’t always room in your mouth for them. Impacted wisdom teeth can lead to swelling, tenderness, and pain around your molars, so often it’s best to have them extracted. How do you remove wisdom teeth? If your wisdom teeth have erupted, Dr. Visot removes them in a routine procedure, using local anesthesia to make the extraction as simple as possible. After surgery, he may have you bite down on gauze to prevent further bleeding when you return home. In cases where your wisdom teeth are impacted or fused to bone, Dr. Visot creates an incision in your gums and removes the tooth or teeth in parts. He does this to limit the amount of bone removed during the procedure. You’ll likely experience some pain and swelling after the procedure. However, that should subside after a few days. If you experience intense pain, swelling, bleeding, or fever for an extended period of time, call Dr. Visot right away. 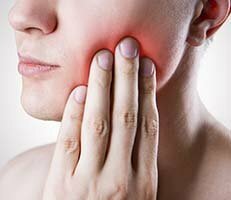 How does wisdom teeth removal affect me? Removing your wisdom teeth won't affect your bite or overall oral health. After your surgery, you should get plenty of rest and stick to soft foods. Swelling, bruising, and tenderness on your face and neck are common. You can use ice packs to lessen the pain. You might also get pain medications from Dr. Visot to further relieve the pain. Dr. Visot also performs simple tooth extractions at his office. Sometimes you need to get teeth extracted if there’s decay or an infection that can spread. Also, extra teeth can block other teeth from coming in. If you have any questions or concerns about your recovery, contact Dr. Visot right away. Schedule follow-up visits with Dr. Visot to monitor your progress and make sure there aren’t any complications following surgery.